On a rainy day, it doesn't get much better than having a steamy bowl of soup. One of my favorite soups is Wonton Soup. You can order it from your local Chinese restaurant or you can make it on your own. 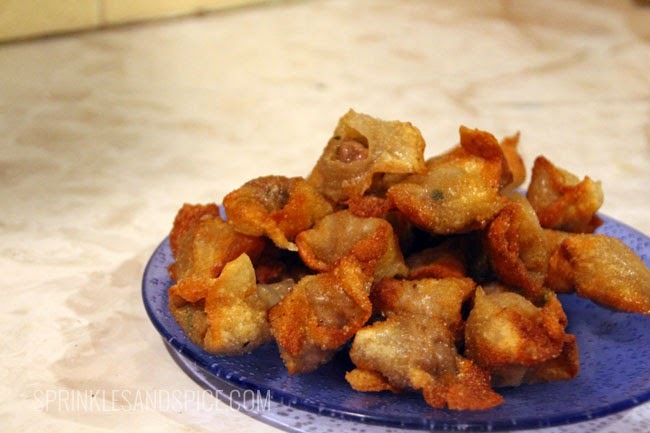 These delectable wontons are super versatile because they can be steamed, simmered in broth, fried, or baked. Eat them as an appetizer or as a meal. When eaten as a finger food, I like to dip them in a slightly spicy sauce. 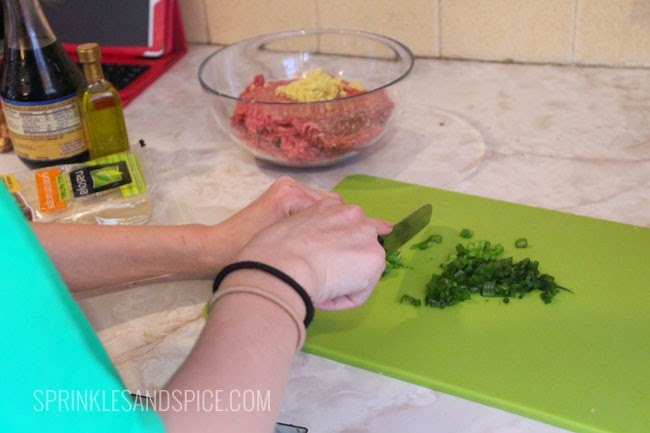 Combine ground pork, turkey or chicken, chopped scallions, ginger, soy sauce, sesame oil, and salt and pepper in a bowl and refrigerate for one hour. 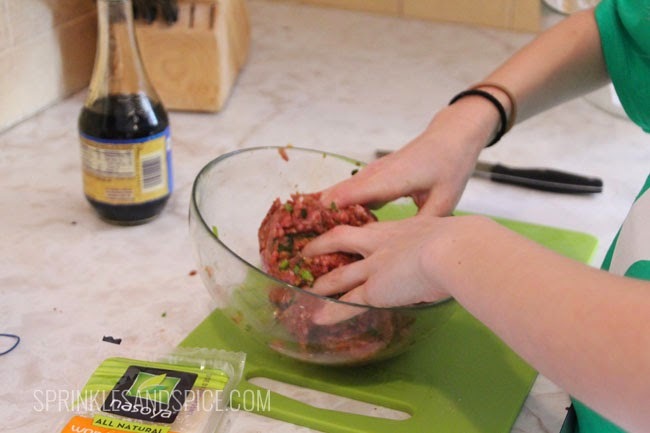 Once the meat is ready, use a spoon and scoop a little bit and place it in the center of a wonton wrapper. Don’t add too much filling. If you do you will have a hard time closing up the wonton. There are many ways to fold wontons, but this is how I do it. Using a pastry brush, I paint water along the edges of the wrapper to help it stick. 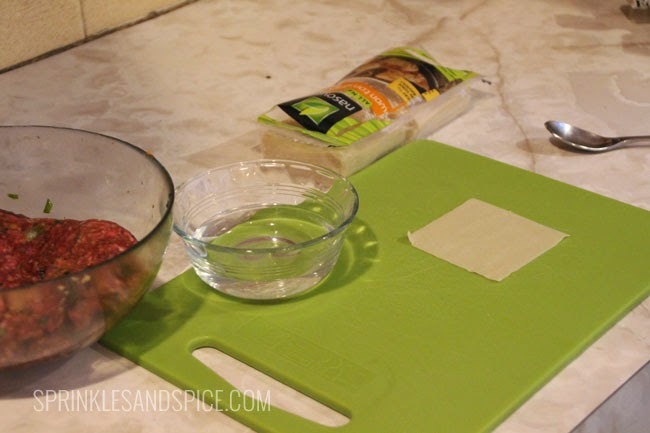 Make sure it’s completely sealed and has no air bubbles or the wontons will burst while cooking. I fold the 2 corners of the wrapper together so they touch and make a triangle. Then I paint the exposed edges with water, face the wider edge toward me and pull the smaller edges together to create a boat shape. If this is too hard to understand there is a diagram and short video below. My mom and I like to make a big batch of the meat, use half and freeze the other half for another time. Sometimes we freeze the uncooked wontons that we have fully assembled too. This way when I have a craving, they are ready to pop in soup, the fryer, or oven. 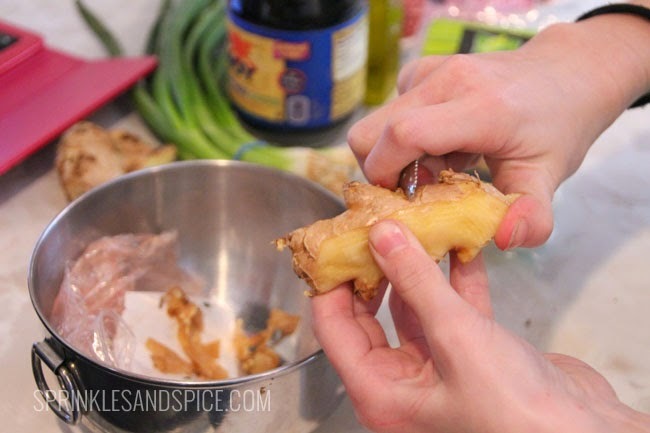 To create an even more flavorful bite, I dip it in sauce. This sauce is easier to make when you think. Whatever you have left over can be saved in a sealed jar and refrigerated to be used another time. 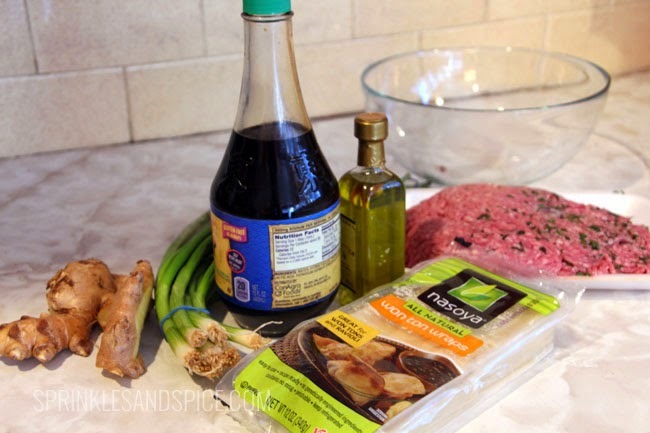 In a bowl, combine cider vinegar, soy sauce, sesame oil, Tabasco sauce, ginger, and garlic. Let it sit for 30 minutes. Then it is ready to serve. 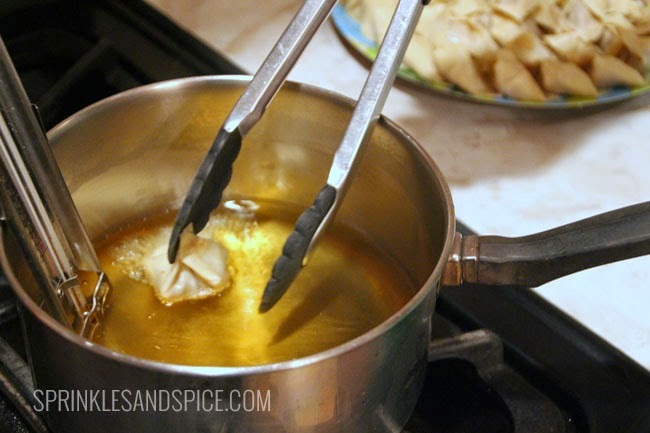 Wontons can be deep fried in oil heated to about 360 degrees. They can also be steamed or poached in broth. To make the won ton soup simply bring chicken stock to a simmer for 5 minutes. Then, gently lower in wontons and continue to simmer on low heat for another 5 minutes. Combine all ingredients and allow to steep for 30 minutes.